A person who wishes to work as a truck driver must acquire a commercial driver’s license (CDL) or a commercial driver instruction permit (CDIP) in the State of Washington must comply with several federal and state requirements. These requirements are there to protect all of those who are on the road. If you wish to apply for a CDL, then you should know a few facts before applying. To qualify for a CDL in this state, you must be at least 21 years or older. To obtain a Class A CDL, you must be able to complete a minimum of 160 hours of in-class and out-of-class commercial vehicle training. This is where enrolling into a truck driving training school comes in. Once you complete your training, your next step is to submit your application and prepare for the written exam and visual test. All applicants are required to take the General Knowledge test. Additional exams are given to applicants who wish to apply for additional endorsements. Having these endorsements will allow you to perform additional task. The DMV will issue a CDL permit if you pass the written exams. This permit is required to take the skills test, which is the next step of the CDL application process. Applicants who feel that they are ready to take the skills test must schedule a date before their permit expires. All applicants must provide an appropriate commercial vehicle for the class they are testing to drive. The skills test is divided into a pre-trip inspection, basic skills demonstration, and on-road testing. It usually takes 2 hours to complete. 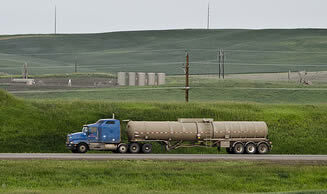 Applicants must pass all three parts to become a truck driver in Washington. To add a trucking school to this page please use our contact form found on this page. When you submit a training facility, please include the name of the business, the address, and phone number. The process of getting a Washington commercial driver’s license [CDL] can be quite difficult as there are now newer and stricter regulations which applicants have to comply with in order to acquire this type of license. First and foremost, there is the background check which is done on past driving violations which may affect one’s chances of being given a license. Another is the criminal background check which is done for applicants of a hazardous materials endorsement which not only prolongs the application process but also adds some costs to it. However, after you have acquired a CDL, one can also get a lot of benefits from it. Today, applicants for a Washington truck driver’s license are required to undergo a self-certification process as to the type of commercial driving that they will be performing. One cannot proceed with the application process if he or she does not self-certify first. Of course, another requirement is for one to be of the appropriate age which is 18 or 21 years old for intra and interstate driving consecutively. This means that you cannot apply for an interstate CDL if you are still below 21 years old. The next thing that you would need is a medical certification from a DOT accredited physician. You have to pick up a DOT medical form from your local DMV office. The physician will certify whether you are physically fit to perform commercial truck driving. You would also need to undergo a vision test where you will be required to have a visual acuity of at least 20/40. Both of these tests are required in order to ascertain your capability of driving a commercial vehicle safely on the road. After this, you would have to apply for a commercial driver instruction permit (CDIP) which will allow you to drive the type of commercial vehicle that you would like to apply for. For this, you would need to undergo a knowledge test which you would need to pass by getting an 80% score. The Washington CDL Manual would be of great help before you apply for this test. You can apply for this test at any local DMV office near you. But before you take the test, you would need to bring the following documents: your current driver’s license, Social Security number, payment for the application ($10), your medical and vision test results, and proof of residency in the state. If you pass the test, you will be given a CDIP valid for 6 months. It is important to learn as much as you can about truck driving during this period accompanied by a licensed individual. You will be required to undergo truck driving training which will comply with the state’s requirements. Before the permit expires, you will have to apply the road test which involves a pre-trip inspection, basic skills test, and the actual road test in your DMV office. You will find the areas in which you will be tested on inside the CDL manual. Once you pass this test, you will be given a Washington CDL after paying the corresponding fees. 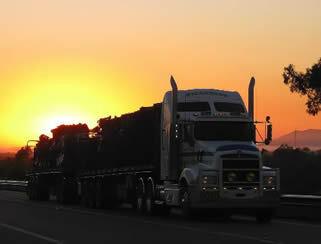 If you need assistance passing the license exams there are a variety of truck driving schools in WA to help. Schools can teach you the basic skills required, and provide you with real experience behind the wheel of a semi truck. In addition, many training programs offer job assistance after you have received your license. To learn more about current CDL requirements, click the link to the driver’s manual below.